Like most personal histories, the histories of nations are messy. They are piece-y, web-y, tangled. Living reminders of the past are everywhere, loud and quiet. The Reichstag building is one of those reminders for Germany, whose past is — as far as complicated goes — very complicated. The Reichstag building itself is a historical edifice, and is located in Berlin. It was completed in 1894, and built to house the Imperial Diet — or, in German, Reichstag. 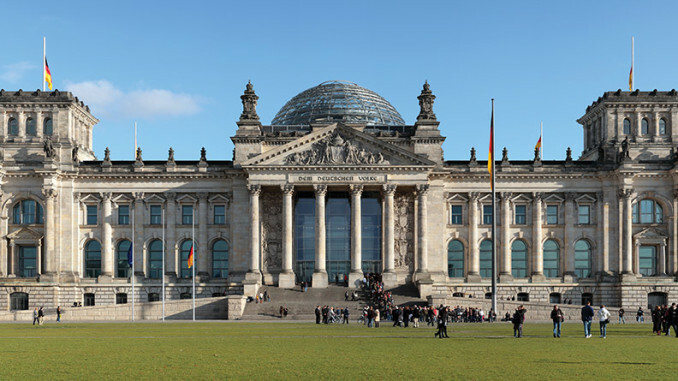 The building was referred to as the Reichstag in reference to the body of people that it served. After the Diet of the German Empire came the Reichstag of the Weimar Republic, then that of Nazi Germany. In 1933, a fire (one that still puzzles historians) damaged the building. The Reichstag of Nazi Germany never again convened in the historic building. Air raids during World War II left the building almost in ruin. By the time the Cold War emerged, the Reichstag lay a damaged heap in West Berlin. It was not of much use to West Germany, as the capital had been established in Bonn. Bonn hosted not the Imperial Diet, but the Federal Diet, or Bundestag. Unification came in 1990, and again Berlin was capital. The crumbling Reichstag, a symbol of Germany’s history and government, had to be re-born. In 1992, the winner of an architectural contest was announced: English architect Norman Foster would renovate the Reichstag. Since its renovation, the Reichstag building has been visited by millions of people from every corner of the world. It is the meeting place of the German parliament, but it is also filled with modern art. Visitors strolling through may admire the digital art piece by Jenny Holzer as a government official brushes past. A proper visit culminates with a visit to the glass dome, designed by Foster. For free, people can walk up to the roof of the building, and walk the winding path to the top. This dazzling cupola provides an unbeatable view of Berlin. Perhaps most intriguing, though, is the view below your feet — a glass ceiling allows citizens the ability to look on at legislative proceedings. Foster wanted to emphasize the transparent aspects of democracy. It must be, always, for Der Bevölkerung: the people.